University of Illinois President Timothy L. Killeen has announced that Adriana Crocker, University of Illinois Springfield professor of political science, will serve as the newest Presidential Fellow. Crocker is the first faculty member at UIS to be named a Presidential Fellow. “Professor Crocker is an award-winning teacher who specializes in Latin American politics, with a strong background in international law and women’s rights, and will work to help the U of I System expand its global reach,” said Killeen. As a Presidential Fellow, Crocker will work with faculty across the System to promote international student exchanges and research partnerships. She is particularly interested in forging new alliances with global universities that will help reimagine student-focused teaching and learning and make the U of I System one of the world’s most sought-after destinations for both students and scholars. Crocker joined the UIS faculty in 2006 and teaches comparative politics and international relations courses with an emphasis on Latin American politics. 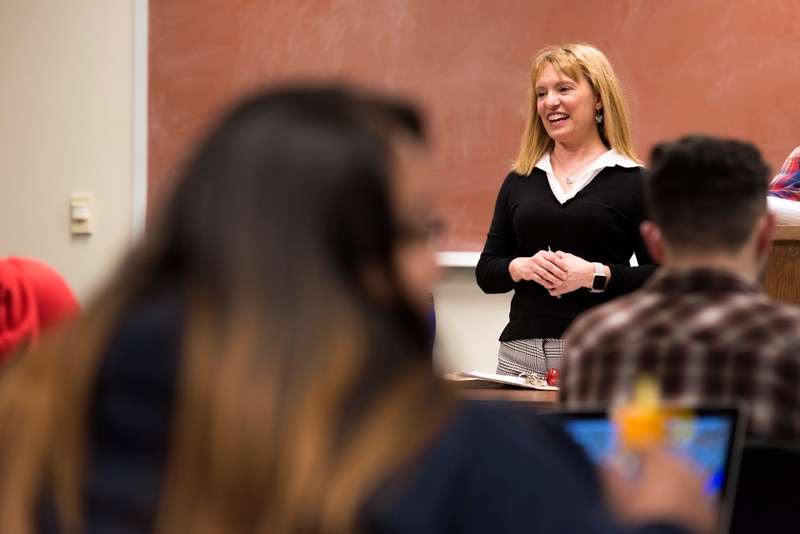 In 2016, she received the distinguished Pearson Faculty Award, which that recognizes a faculty member whose performance exemplifies UIS’s commitment to excellence in teaching and who stands among the very best teachers on campus. Her research focuses on the role of gender quotas and other institutional mechanisms in serving the interests of women in Latin America. She has a law degree from the University of La Plata Argentina and a Ph.D. from Northern Illinois University. “The Presidential Fellows Program was created to tap into the deep pool of faculty talent at our three universities to help foster initiatives that guide us toward the goals of our Strategic Framework and expand our system-wide service to students and the public good. I am grateful to Professor Crocker for sharing her talents, and hope you will join me in welcoming her to this new, important role,” said Killeen. The Presidential Fellowship was started in 2015 by President Killeen as a way to stimulate and facilitate projects by faculty members from across the System to help realize institutional goals. The Presidential Fellowship is funded by the Office of the President with appointments typically lasting 12 months.